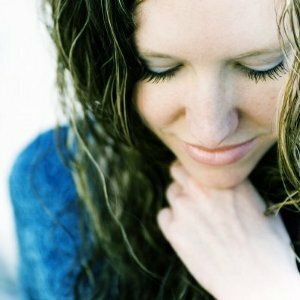 April Meservy is a singer from Reno, Nevada, and a member of The Church of Jesus Christ of Latter-day Saints. April sings locally, but has also been invited to sing in venues around the world, and has been featured on television. She combines musical styles and lists the following as influences: Indie, Acoustic, Pop/Rock, Christian, Contemporary Gospel, Jazz, Alternative Folk, R&B, Blues, World, Electro-Pop, Dance. She's independently produced by Forêt d'Musique (Jèrriais: "Forest of Music"). She’s won Pearl Awards: “Studio Vocalist of the Year” in 2004, 2005, 2006 as well as for “Contemporary Recording of the Year” in 2005 and “Devotional Recording Song” in 2007. She also received an award from the Interfaith Power & Light Earth Song Competition for her song “Marks on My Path,” which was part of her “Somewhere Between Sunsets” album. April has been featured on albums and compilations released all over the world, including several soundtracks on Especially for Youth CDs. She produced a new album in 2010, “Somewhere Between Sunsets.” She was invited to perform in the All Star Open Mic Fight at Refinement Records. She and Nikki Forova embarked on the White Dandelions tour in 2013, which marked Forova’s album release and Meservy’s concert. In November 2013 she released a music video for “Looks Like Change.” She made a second video for “Looks Like Change” that was released in December 2013. This page was last edited on 2 January 2014, at 15:41.